I instantly went to this photo when I read the topic for this week’s photo challenge. 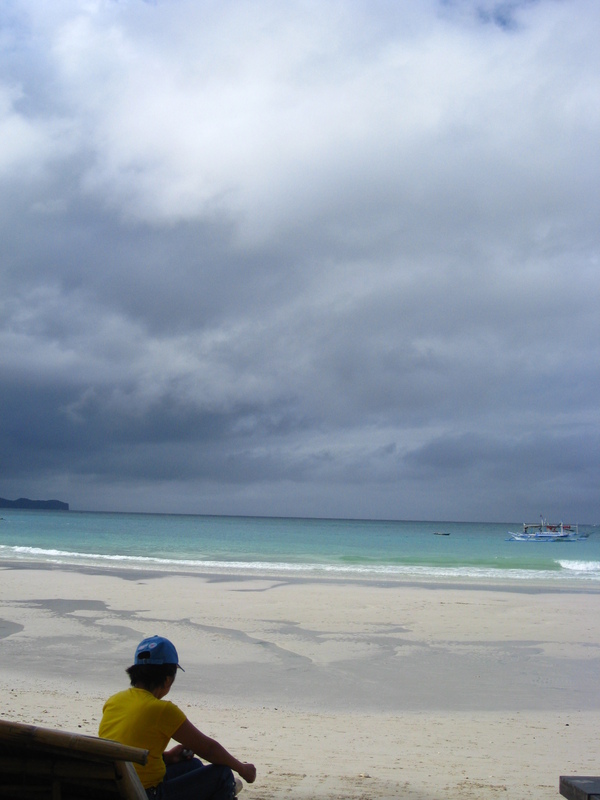 It’s because I distinctly remember taking this shot in one of our Boracay trips in 2009. It was early morning and I rarely wake up at this hour while on vacation. I sat on a beach chair fairly similar to where this woman is sitting. I took a close shot of her with just a peek of the ocean. But when I noticed how wonderful the sky is at that time (I love sky shots! ), I took this one. I remember wondering what she is doing there at this time. She was playing with the sand at one point, writing or drawing something, then gazing into the horizon. She’s probably waiting for someone, too. A vendor or a friend. I think she’s local, but I can’t be sure. She’s probably waiting for her husband on that boat (just my imagination taking over, haha). I guess I’ll never know, because I was wracking my brains trying to remember what happened next and I seriously can’t remember. So I’m just guessing. Let’s just say she was just taking a breather from her morning walk and soaking in the beauty of this place she happens to be living in. If she’s a local, then she would have to start working a few hours from this moment. I would love to think this is just a particularly nice day and we were both lucky to be in it. Because she gets to relax and I get to take this picture. P.S. Boracay Island, Philippines is seriously one of the best beaches in the world. It can get crazy during peak seasons (summer, March-May), but the few times we went in October and January, it was really nice and peaceful. We’re going back in February 2013 and I’m still so excited! For this week’s photo challenge, I chose photos from my travels to Vietnam and Cambodia in early 2011. Everyday life in these 2 countries are so interesting that you will never get tired of taking a snap. 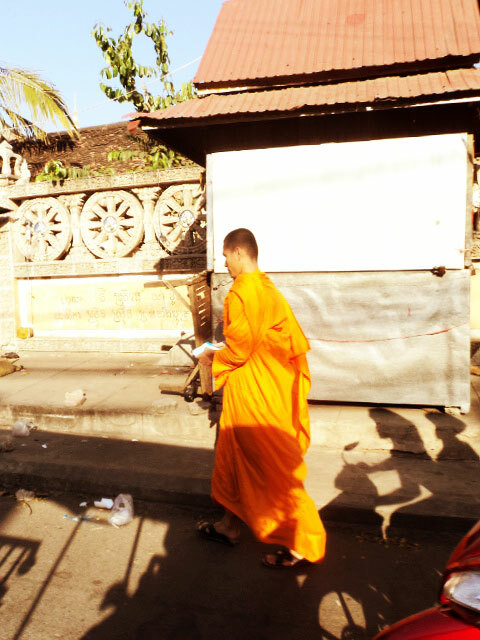 This monk is off to collect offerings of food given by the townpeople early in the morning. Phnom Penh has a number of temples and one of these younger monks’ jobs is to collect the offerings from the altars around the city. 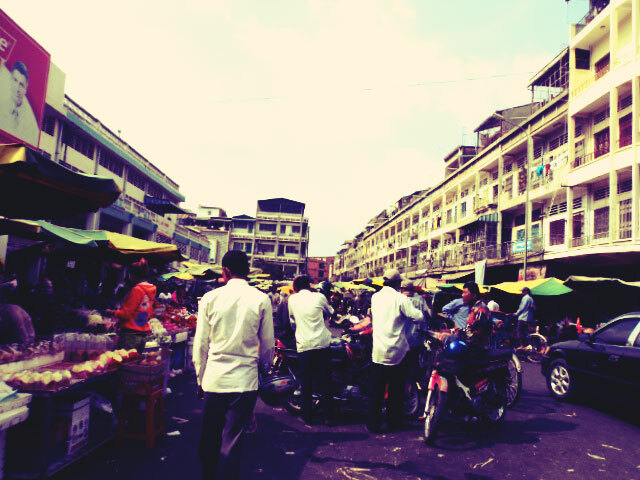 This was taken outside Sorussey Market in Phnom Penh, Cambodia. 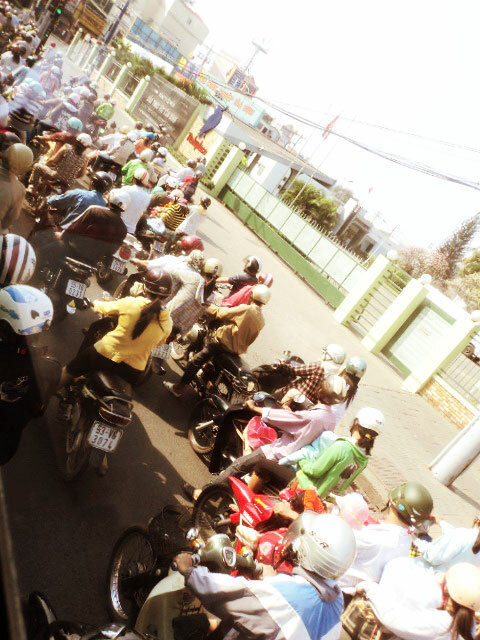 In this city, motorbike is an alternative transportation to get from one place to another. Sometimes tuktuk drivers charge so high that some people prefer this means of travel. They can get pretty in your face though while offering their service, so have a little patience. Speaking of motorbikes, Ho Chi Minh (Saigon) is popular for having one of the most number of motorbikes in the whole world. A lot of people use it every single day to get to work and school. So when in HCM, be extra careful when crossing the street! Most of the time they won’t stop for you. I’m a newbie to the Weekly Photo Challenge and thought I’d give it a try. When I read about the topic, my mind instantly wandered in 2010 when I spent a month in Christchurch, New Zealand. 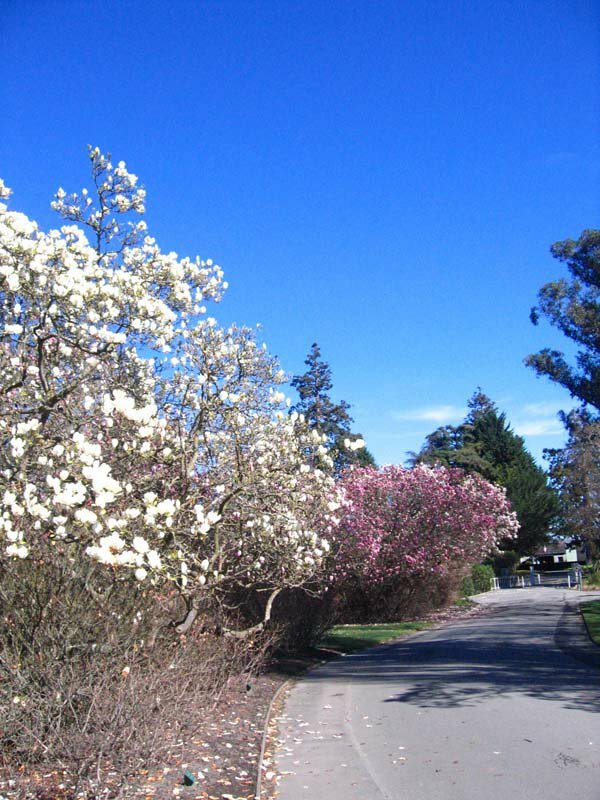 Christchurch is a very small city in south New Zealand. To get there, I had to travel alone, outside of my continent, for the very first time. R was there when I arrived of course, but the excitement of just getting on a plane alone, passing by a country that I’ve heard horror stories of (hello, Australia! ), just freaked me out and amused me both at the same time. This challenge reminded me of Christchurch because there, the sky just goes on forever. And ever and ever. It’s amazing! I am not a professional photographer and I took these photos with an old Canon Ixus camera. Walking around the Botanic Garden. I love this picture. And see what I mean about the bluest sky, ever? 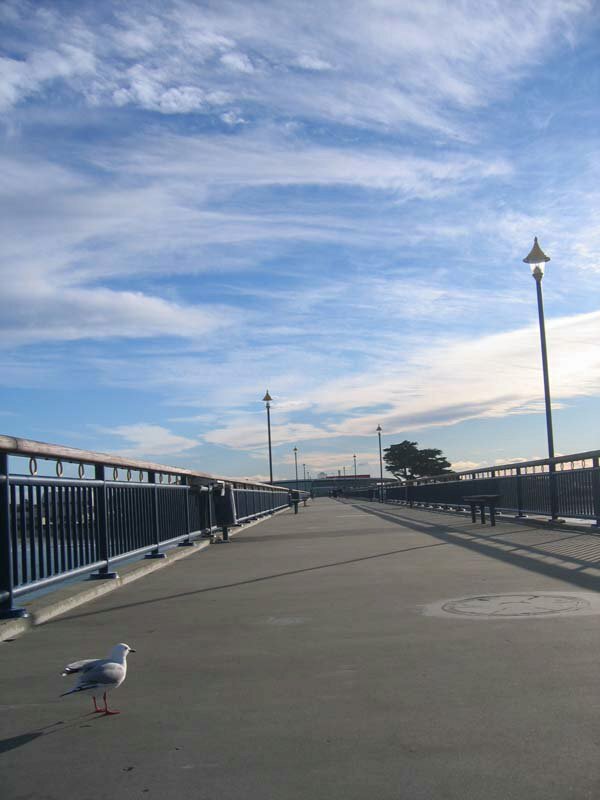 The birds are everywhere at North Brighton Pier. They were good subjects and I found this one just waiting for some photo opportunity. And the sky, see?! This bonus one is not from Christchurch. 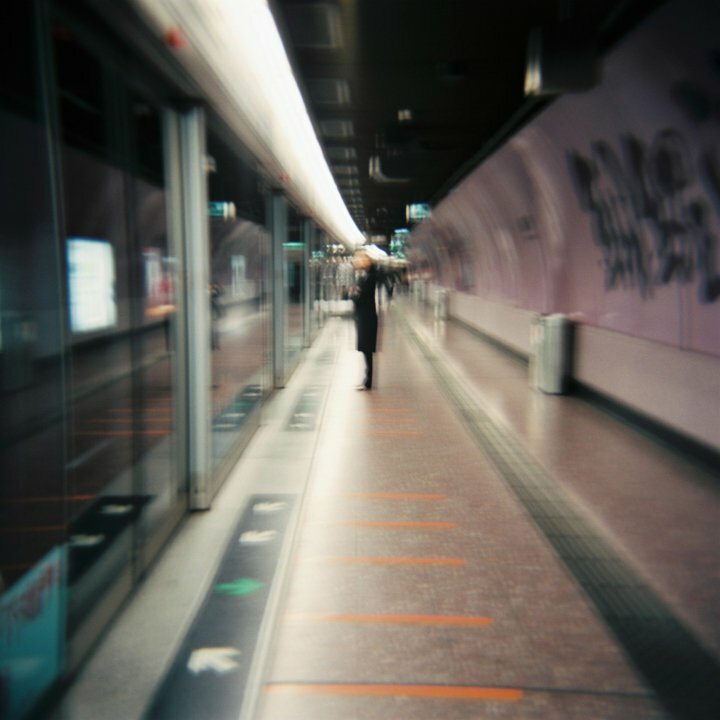 This was taken at an MTR station in Hong Kong, taken with my Holga. I didn’t know how it would turn out, so I was really surprised at how haunting this is. I hope I was able to interpret the topic for this week’s photo challenge. Will definitely join again next week. It was fun to reminisce!